Given that this is my last language lundi (Monday) of the official Year in Fromage, I always planned to sign off with a story on signing off. Yet it turns out I'm not signing off on this project quite yet. It also turns out to be a slightly ominous-sounding coincidence since, as you read this, I will be unconscious and under the knife. Don't worry, I'm not signing off; just think of it as ironic, dark humor. Please want, dear Reader, to accept this expression of my most sincere sentiments. Now if you don't want to command them "You must want to accept this! Believe this!" You can beg them instead. Since we are in France, kisses are not reserved just for romantic letters. You can kiss your friends on the cheeks here -- men and women -- so why not sign off that way? 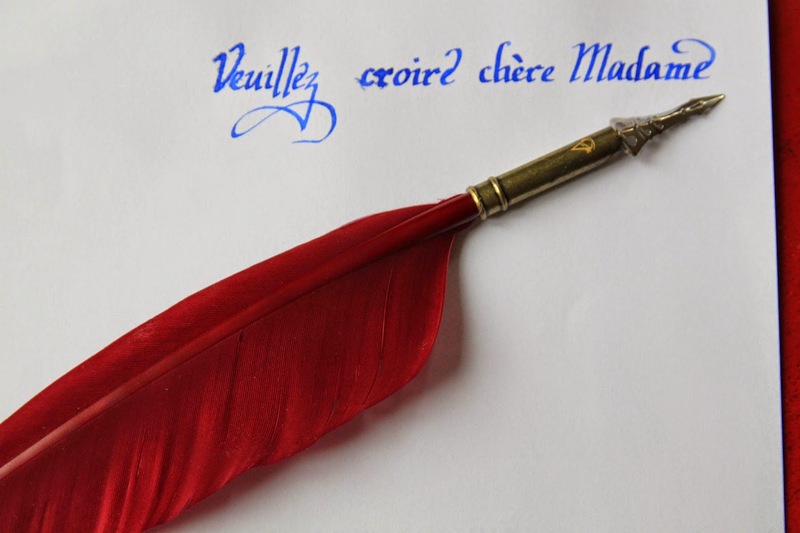 I have to say that I am just culturally incapable of signing a letter, no matter how formal the situation, with anything as fancy as "Veuillez croire, Madame" or "Je vous prie..." I figure, they know full well I'm not a French speaker by the correspondence itself, which is low in classic finesse and high in American directness, so I usually go with a simple "Merci beaucoup" which is neither correct nor done -- except by me. 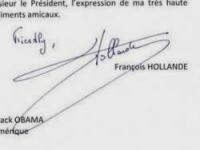 In Nov. 2012, after Obama's reelection, President Hollande amused and embarrassed the French when he posted a congratulatory letter on the Elysée (French equivalent of the White House) Facebook page, on which he signed off "Friendly," almost certainly meaning it as a direct translation of "Amicalement" or "Amitiés". Sancerrois (pronounced "sun-sare-WA") is a raw, farmhouse goats' milk cheese in the classic style of the Berry region (historic name for a region including today's Cher and l'Indre departments near the Loire. Since the Arab invasion in the 700s, raising goats and making goat cheese has been a local specialty. This hockey puck of goat cheese, sometimes (more rarely) also called Le Berrichon, is like a large version of a Crottin de Chavignol and Crottin du Berry. But because it's bigger, the inside is creamier. It's a lactic cheese, mellow but with a slight yogurt tang and subtle hints of pepper, especially in the more aged, harder discs. 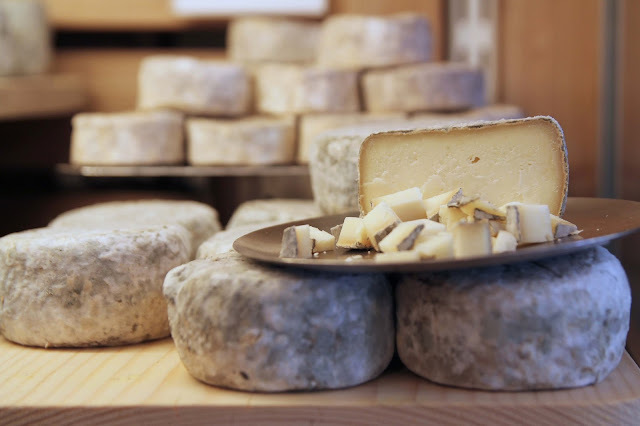 The cheese can be aged from 2-5 weeks, made between January through September, so there can be quite a difference in potency. I get my letter sign-offs wrong, and -- frankly -- the translations I've given you above are too literal and, therefore, slightly off, too. Mostly, each and every sign off, no matter what the word, is just a very flowery, overly-complicated way of saying "Sincerely" which -- in a just-off way -- sounds very much like "Sancerrois".